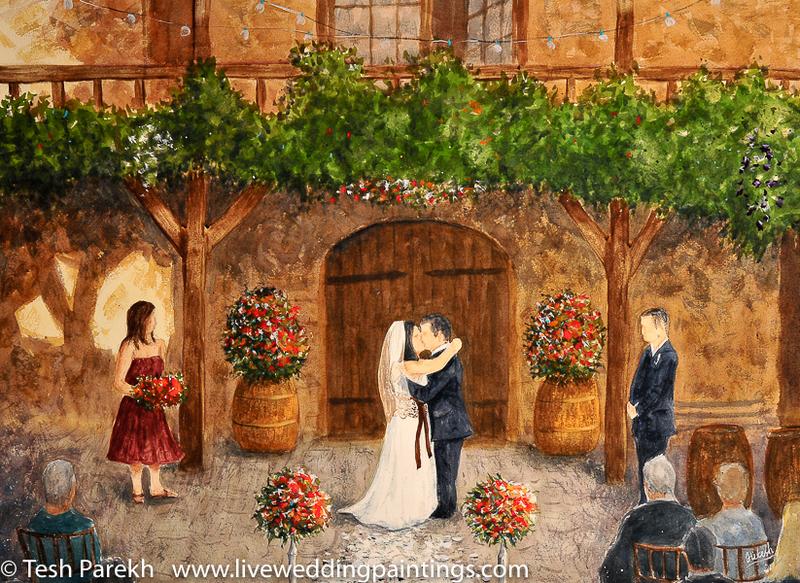 LIVE Wedding and Events Paintings is a really unique option to consider at your next event to add something more memorable for you and your guests to experience. Tesh Paerkh is a National Award winning artist that paints LIVE in oil or watercolor during your event and captures the soul and joy of your event in the most unique way. Some clients have had him paint LIVE at weddings, at sales conferences, bicentennials, 50th wedding anniversaries, commemorative events and at fundraisers! Tesh can paint anywhere and can bring out your message in the painting whether it is love or celebration or a great cause. Contact Tesh to discuss your event and see if a LIVE Painter is a good option ~ you will enjoy working with Tesh and you will love the end result – a beautiful painting to have of the event that will last a lifetime. What are your prices for doing a live painting.